The new feature would have been added already if other things hadn’t gotten in the way, the developer says. 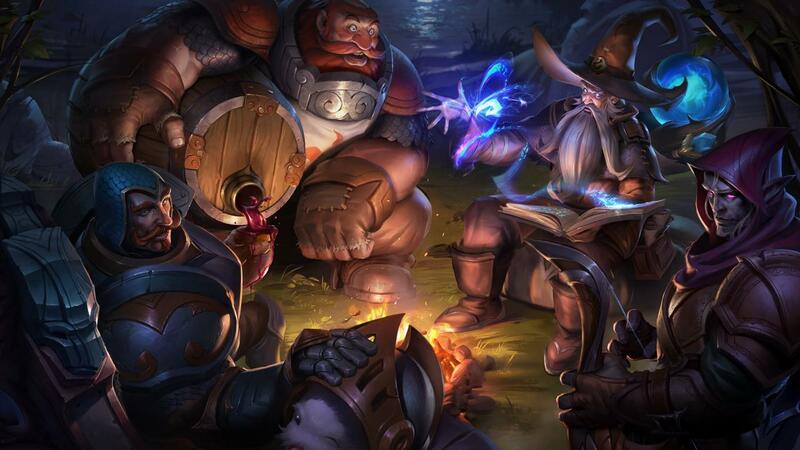 A 15-minute surrender option is being tested for League of Legends, Riot announced last week. And it’s about damn time. Riot originally planned to have the feature in the game by now, according to Andre ‘Meddler’ van Roon, League’s lead gameplay designer. He mentioned that it would have been tested and implemented already if not for high-priority projects like the new client and matchmaking changes getting in the way. In a post on Nexus, League’s editorial website, Meddler gave a few details on the upcoming potential feature. At first, it will only be available in one region, although we aren’t sure which region will be selected. It will also function differently from the usual surrender—it will be a unanimous vote, meaning that all teammates would have to agree for it to actually go through. Will this replace the current 20-minute surrender altogether, or will it just be an addition? There aren’t enough details to tell right now, but either way, it would be a change for the better. Why? Well, the traditional 20-minute surrender has been around for a long time, and frankly, it’s outdated. Over the years, the average length of games has shortened considerably, and it gets even shorter depending on what rank you are. More than 42 percent of all solo queue players are in Bronze, and over 36 percent are in Silver, according to League of Graphs, a League statistics website. That means almost 80 percent of all solo queue players in League are in either Bronze or Silver. Want to know the average length of game time amongst those players? About thirty minutes. Higher ranked games are even shorter. If someone was toxic and ended up rage-quitting because they weren’t able to steal the jungler’s Krugs while the jungler was trying to take it, for example, your team is now down a man because that player took it very personally (this surely has never happened to me). Or maybe, just maybe, you are down six towers, an inhib, two dragons, and twenty kills when the clock strikes fifteen minutes. It’s also possible that your top laner went Teemo. All I’m saying is sometimes things are looking just bleak enough to make the strongest-willed player want to throw in the towel. Adding a 15-minute unanimous surrender option gives a team the possibility of finishing up and starting a new game before the slug-fest goes on long enough to crush their spirit completely. A 20-minute surrender is the only option—even when ranked games now rarely go past 30 minutes. It’s ludicrous, and adding a bit of flexibility here is the right way to go.